MONTEBELLO – The holidays are a little brighter for dozens of Montebello Unified students and families identified as homeless, as parents picked out gifts of toys, books, school supplies, dental kits, gift cards and canned hams to give to their children as part of MUSD’s inaugural Families in Transition Gift Giveaway on Dec. 9 at Laguna Nueva School. The Families in Transition Program mission is to provide MUSD’s 972 identified homeless students and their families with support services to promote academic achievement. 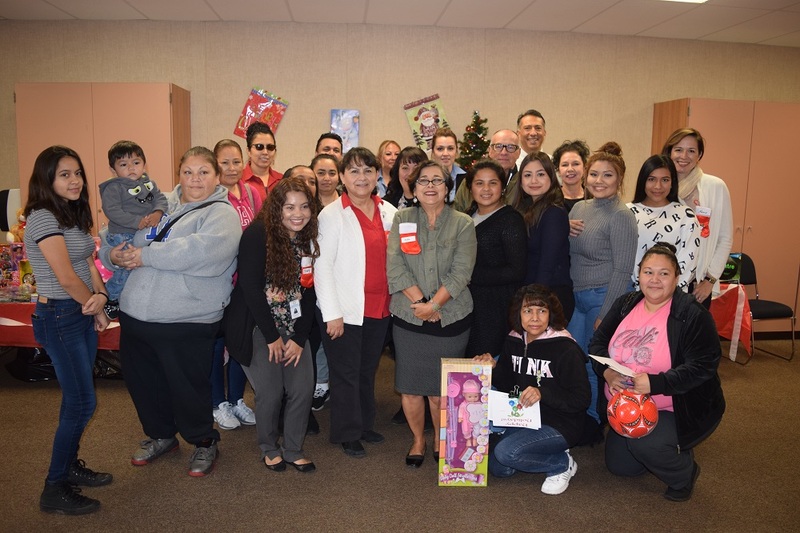 The holiday aid was a districtwide effort, organized by the Families in Transition Program, which graciously accepted donations from L.A. County Supervisor Hilda Solis, California State Senator Tony Mendoza, the Montebello Unified Transportation Department and Montebello District Office personnel. Wearing tiny Christmas stocking nametags, District staff and Bell Gardens High School students greeted the families, who selected a gift based on the grade level of their child – a brand new toy or game for elementary or intermediate students, or a gift card for high school students – and stood by as volunteers wrapped them in holiday colors. Maritza Romero lives with her husband in a motel while the two of them raise four children, all of whom attend MUSD schools. The Families in Transition Program has proven to be an invaluable resource for the Romero family, providing support that helps them get by on a day-to-day basis. 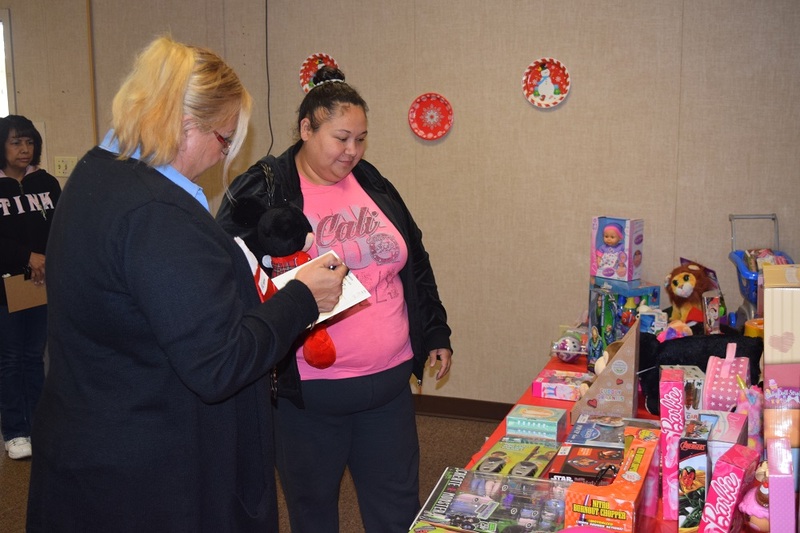 The MUSD Transportation Department held a two-week toy drive which provided more than 300 toys and games. A chicken and ribs fundraiser netted more than $1,000, which went toward more gifts and supplies. Transportation Supervisor Ruben Saenz said that his department conducts a toy drive every year, but this year was special because of the personal attachment his drivers feel for the recipients. 121916_MUSD_GIFTS1: Montebello Unified Families in Transition Program liaisons and families prepare for the group’s Dec. 9 Gift Giveaway at the Laguna Nueva School Families in Transition Resource Center, where MUSD parents identified as homeless had the opportunity to pick out holiday gifts to give to their children. 121916_MUSD_GIFTS2: Nadine Schlesser (left), an MUSD bus driver, helps Maritza Romero pick out gifts for her children during the Dec. 9 Gift Giveaway at the Laguna Nueva School Families in Transition Resource Center, where MUSD families identified as homeless had the opportunity to pick out holiday gifts to give to their children.